Dan Miller. Untitled, 2012. Ink and acrylic on paper; 21 x 22.25 inches. Courtesy of the artist and Creative Growth Art Center, Oakland. © Creative Growth Art Center. Intuit is proud to join the Art21 Screening Society to host a free screening of “San Francisco Bay Area,” a new Art in the Twenty-First Century episode featuring Creative Growth Art Center, Katy Grannan, Lynn Hershman Leeson and Stephanie Syjuco. 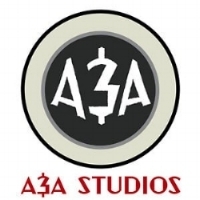 Creative Growth Art Center is a non-profit that serves artists with developmental, mental and physical disabilities, providing a professional studio environment for artistic development, gallery exhibition and representation. Intuit’s own collection includes works by Creative Growth artists past and present, including Judith Scott, Dan Miller, Donald Mitchell and Dwight Mackintosh. This event is presented as a part of Art21 Screening Society, the free global screening program in support of the upcoming ninth season of the Art in the Twenty-First Century television series. With each edition, Art21 invites a wide variety of partners—schools, universities, libraries, museums, nonprofit organizations, galleries, arts and cultural spaces, community centers, and more—to screen one of the new episodes from the series. Join Intuit on a daylong art excursion to the Figge Art Museum in Davenport, Iowa! After lunch at the museum, you will have self-guided time to explore the exhibitions and collections on your own. During the second half of our visit, we will gather for docent-led tours of Figge’s Collection Highlights as well as the current exhibition, William L. Hawkins: An Imaginative Geography, which includes works by Hawkins from Intuit’s own collection. Enjoy viewing outsider art-related films during the bus ride to and from Iowa too! Ticket includes a charter bus transportation, lunch, museum admission and guided tour. You will be contacted regarding your lunch selection upon registration. Learn more about the Figge Art Museum at www.figgeartmuseum.org. As part of Chicago Design Week and the second event in a larger series, Intuit is seeking your eye for architecture! We’re inviting Intuit fans, outsider art enthusiasts and the Chicago community to provide insights for the design of the façade of Intuit’s soon-to-be renovated museum building. The workshop is facilitated by Odile Compagnon, an adjunct professor of architecture at the School of the Art Institute of Chicago. This event gives interested community members the chance to create drawings, clay models and wood carved renderings of proposed façade elements. These visualizations, which can later be reproduced and prototyped to be considered for the new façade, allowing the face of Intuit to express some of the stories it has heard, the art-making it has witnessed and the power of the art exhibited in its interior. Uncle Fun: You're The One is a loving and nostalgia-filled documentary about the iconic, now closed, Chicago novelty and toy store Uncle Fun and the man behind it, Ted Frankel. Made by first-time filmmaker Laura Scruggs, the film explores how the store began (as well as the store before it, Goodies); what the Uncle Fun store and Frankel have meant over the years to many devoted customers; Ted's unexpected tragedy; the closing of the store; other fun stores around the country that Uncle Fun inspired; and Frankel's current life as founder and operator of Sideshow, the gift shop at The American Visionary Art Museum in Baltimore. Uncle Fun is a story about being happy, being yourself, following your heart, and having hope. After the screening, the film’s director, Laura Scruggs, and, Uncle Fun himself, Ted Frankel, will be joined in conversation by William Swislow, curator of Intuit’s current exhibition, Chicago We Own It. State Street Stuff, “the grooviest store in SW Michigan” selling “eclectic, whimsical & awesome stuff,” will be on site with toys, novelty gifts and more! As part of a larger series in partnership with Chicago Design Week and Ordre des Architectes , Intuit is seeking your eye for architecture! We’re inviting Intuit fans, outsider art enthusiasts and the Chicago community to provide insights for the design of the façade of Intuit’s soon-to-be renovated museum building. The workshop is facilitated by Odile Compagnon, a member of the Ordre des Architectes and an adjunct professor of architecture at the School of the Art Institute of Chicago. Join us for a poetry discussion and workshop led by Poetry Foundation Library Coordinator Maggie Queeney. In celebration of Intuit’s Chicago Calling: Art Against the Flow, we will read and discuss poetry detailing city life from a wide range of poets who call Chicago home. The Lone Star State often inspires a heightened sense of place in its citizens. Wehnert will discuss how that sense of place impacted these eleven outsider artists who were compelled to make art as a manifestation of their personal histories, societal and cultural forces, and an unfailing drive to express themselves. Light brunch included. Copies of the book will be available for purchase at the event. Jay Wehnert is a collector, writer, curator and collaborator based in Houston, Texas. He and his wife, Victoria began collecting outsider and self-taught art in the mid-1980’s and continue to have a lively collecting interest into the present. They welcome guests and tours to share their home and hosted a group from Intuit in 2017 during their visit to Houston for The Art Car Parade. 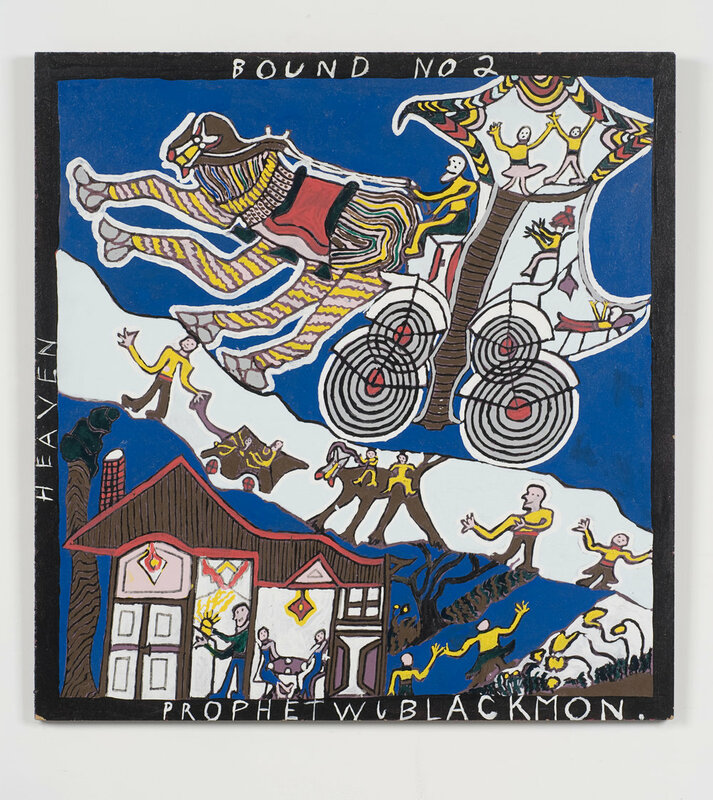 Jay’s collecting interests in outsider, visionary and self-taught art have fed an ever-increasing curiosity in these artists, their lives and work. He began informally working with some artists, including Paul Darmafall, The Baltimore Glassman and developed collaborations with galleries to present his, and others’ art. Jay began curating exhibitions locally in Houston and regionally through Texas. Writing projects in the form of exhibition essays and arts magazine articles followed. In 2011, Jay launched his own arts initiative, Intuitive Eye, which has expanded his efforts to present the art that fascinates him. Since then he has curated and consulted on numerous exhibitions, most recently presenting Lone Stars, A Celebration of Texas Culture and Art with Webb Gallery. He has presented on the subject of outsider art to Texas audiences, and following one such talk was invited by Texas A&M University Press to write a book on the subject. The resulting book, Outsider Art in Texas: Lone Stars was published in April of 2018. In 2019, Jay will be curating and writing about Texas self-taught art for the exhibition, The Art of Texas: 250 Years, organized by the Witte Museum and Texas Christian University. Learn more about Intuitive Eye at www.intuitiveeye.org. This event is held in conjunction with EXPO Chicago, which hosts leading international art galleries presented alongside one of the highest quality platforms for global contemporary art and culture. It’s a Bling Thing: If you can’t see it from the highway, why bother? 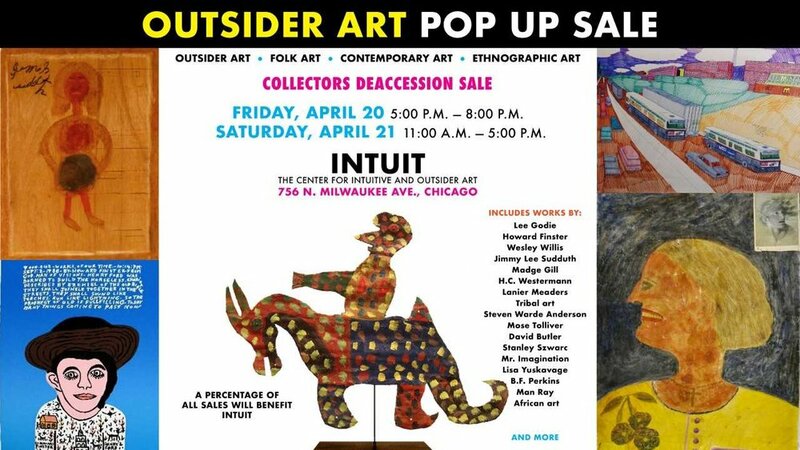 All proceeds go to Intuit’s outsider art exhibitions, education initiatives and youth-focused programming. Thank you for for your support! Barrels of Art on the Chicago Riverwalk is a live art-making event where a Chicago based artist designs and completes unique artworks using quality reclaimed oak barrels as their surface. 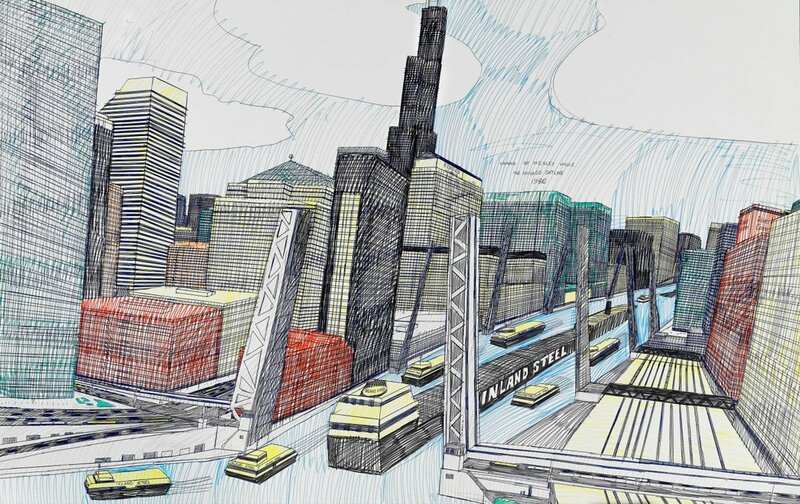 The completed artworks are then displayed throughout the City of Chicago and are also up for auction, of which all the proceeds will benefit Intuit! Join Intuit for a long weekend getaway in Wisconsin! Guests will enjoy visits to several museums, art environments, culinary sites and unique attractions throughout Southwestern and South Central Wisconsin. Accommodations include a three-night stay at The House on the Rock Inn. Breakfast and lunch included daily as well as transportation for duration of the trip. Illinois Educators: This will be an educator-friendly experience with learning that can be brought back into the classroom setting for curricular design. Up to 20 CPDUs will be provided to Illinois Professional Educators attending the trip. CPDU Evaluation Forms and Lesson Outline required. Intuit's exhibition Chicago Calling: Art Against the Flowexplores Chicago’s history of robust recognition and acceptance of self-taught art and artists. To learn more about the exhibition, visitwww.art.org/chicago-calling-art-against-the-flow. Intuit is opening Chicago Calling: Art Against the Flow, and we want you to be a part of it. Come celebrate this historic exhibition with us! The free family-friendly reception is open to all! There will be art activities available during the first hour of the event, and refreshments all night long. Chicago Calling: Art Against the Flow explores Chicago’s history of robust recognition and acceptance of self-taught art and artists. Curated by Kenneth C. Burkhart, an independent curator, and Lisa Stone, curator of the Roger Brown Study Collection of the School of the Art Institute of Chicago, the exhibition presents intrinsic themes embodied in the works of 10 Chicago artists: Henry Darger, William Dawson, Lee Godie, Mr. Imagination, Aldo Piacenza, Pauline Simon, Drossos Skyllas, Dr. Charles Smith, Wesley Willis, and Joseph Yoakum. Themes and associations among works in the exhibition include expressions of fierce resistance to soul-crushing circumstances, to conventional ideals of beauty, and much in between. Culled from 30 collections (and many more examined), the exhibition explores the commingled histories of the ten artists, and the artists, educators, curators, dealers, collectors, and appreciators who comprised the culture of receptivity in Chicago, and embraced their work. The history of exhibitions of non-mainstream work in Chicago, from 1941 to the present, amplifies and underscores the curatorial premise. Be a part of the bright future of Intuit! Name the museum as a beneficiary of your will, trust or IRA. Join us at Intuit for a free seminar on the giving impacts of the new tax laws and your personal wealth planning on Thursday, May 24, just before the 7 p.m. To Be Seen and Heard curator talk. Attorneys from Intuit’s partner, Duane Morris, LLP, will provide the latest guidance through the ins and outs of the new tax laws and the status of charitable donations. Click here to view a 2 minute video on Northern Trust’s website. Friday, May 11, 2018, 11 a.m.-6 p.m.
Saturday, May 12, 2018, 10 a.m.-2 p.m.
Shop designer jewelry, blouses, shawls, trousers, scarves and more at this trunk show that benefits Intuit. Designer and business-owner Jill Heppenheimer will be on site to visit with guests over refreshments served on opening night. This workshop was cancelled due to low enrollment. We hope to reschedule in the future. Coinciding with its current exhibition Philip Carey: Art in my Veins, Intuit is proud to welcome artist Philip Carey for a postal art workshop. Philip Carey’s work can be described as colorful, wacky, strange and full of fun. Born in 1942 in Long Beach, Calif., Carey creates art inspired by his dreams and the medical treatments he received between 2004 and 2015. 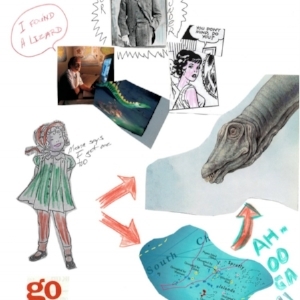 In this make-and-take workshop, Carey will help you share your own story through postal art. Enjoy a hands-on session in an informal creative setting with instruction on concept, materials, technique and process. Carey will discuss the experiences that inspired his postal art on view in the exhibition. You will create your own starter pack of original art envelopes using a variety of pencils, pens, markers and colored pencils. Then select one of your envelope designs for a small batch of reproductions, printed on-the-spot to send in the mail to friends, family, or other lucky postal art recipients! All supplies included. Postage will be provided too! Spring Intuit with us at Lagunitas Brewing Company! What's a better way to give back than by sipping some beers for a good cause? All beer sales and ticket proceeds go directly to Intuit to help us at the museum fund our educational programming in CPS classrooms, youth-focused outreach projects and powerful exhibitions. While you and your friends cheers a couple Little Sumpin's, enjoy live jazz, free food, a silent auction, raffle prizes and more! ...or become a spring intuit: ART BREWT sponsor! Tickets for this event are currently sold out. Please email intuit@art.org to be placed on the waitlist. 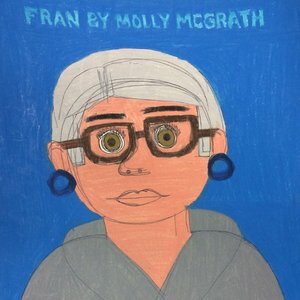 Intuit is proud to partner with NON:op and Bodies of Work to present Inside Out: Narrative in Disability and Outsider Art, a panel discussion that questions the curatorial practice of framing disabled artists as medically pathological “outsiders.” Depictions of disability have always been central to the arts. Actual disabled people, however, rarely control narratives about this imagery. This discussion is part of an international effort to cultivate a middle ground that centers disabled people both inside and outside the arts world as artists, administrators and audiences. This panel is presented in association with NON:op’s performance, ON THE CUSP, May 4, 2018, which includes an exploration of disability representation in the historical avant-garde by artists with and without disabilities. For more information, visit www.nonopera.org. This event is wheelchair accessible and will have American Sign Language interpretation. An on-site personal assistant and restrooms that are wheelchair accessible and gender-neutral will be available. Please refrain from wearing scented products. For other disability accommodation requests, please contact Carrie Sandahl at csandahl@uic.edu. NON:op Open Opera Works explores timely social issues through the creation of interactive, multi-disciplinary and site-specific work. Bodies of Work is a network of artists and organizations whose work explores the disability experience in new and unexpected ways. Intuit: The Center for Intuitive and Outsider Art is one of the premier museums in the world dedicated to presenting outsider art, defined as the work of artists who demonstrate little influence from the mainstream art world and who, instead, are motivated by their unique personal visions. What is the link between psychological states and the creative process? Is there a relationship between psychosis and the artistic impulse? Between Madness and Art examines these issues through the story of Dr. Hans Prinzhorn (1886-1933), a German student of psychiatry and art history, and an early recognizer of outsider art. Intuit is hosting this screening in conjunction with Rare Nest Gallery's exhibition Otto Neumann: Modern Degenerate. In conjunction with its current exhibition In the Land of Pasaquan: The Story of Eddie Owens Martin (on view through March 11, 2018), Intuit welcomes Chicago-based jewelry artist Paula Addington for a jewelry making workshop. Eddie Owens Martin (1908-1986), also known as St. EOM, was the creator of Pasaquan and a visionary artist influenced by many artistic traditions--Mesoamerican, African, and eastern art—which are reflected in the original drawings, sculptures, paintings, regalia and jewelry on view at Intuit. Paula Addington’s artistic necklaces are known for their bold, colorful and dramatic flair. 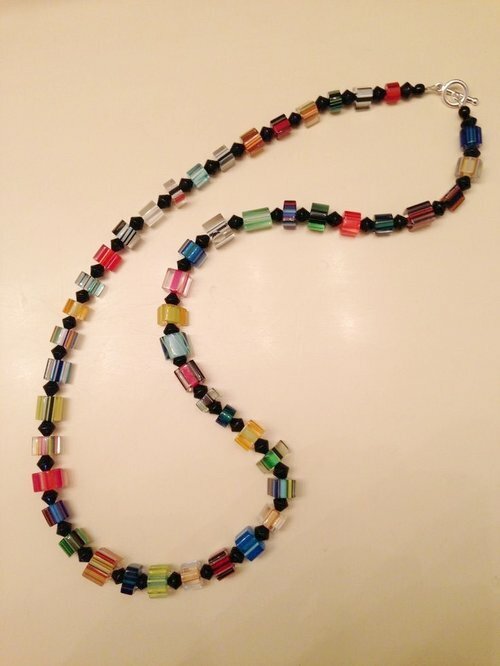 In this make-and-take workshop, Addington will help you create your own vibrant beaded necklaces, pendants and other items inspired by the flamboyant spirit and bright colors in the works of Eddie Owens Martin. Participants will enjoy a hands-on session in an informal creative setting with instruction on process, materials and techniques. All supplies are included, though attendees are encouraged to bring any pendants or other materials they would like to incorporate into their jewelry. Light refreshments will be provided. Advance registration required. Please join us for a night of celebrating the opening of our exhibition, In the Land of Pasaquan: The Story of Eddie Owens Martin. There will be complimentary refreshments for all, and tons of exciting artwork to enjoy! Special guests: the poets of Poems While You Wait will be at the museum, typewriters and all, ready to create custom-made, original poems for reception attendees. Eddie Owens Martin (1908-1986), who, in his later years, referred to himself as St. EOM, was the creator of Pasaquan. This visionary artist, who had no formal training, reveled in the intuitive creative art process. St. EOM was influenced by many artistic traditions, including Mesoamerican, African, and eastern art, but the content of his work was constructed from utopian visions. Pasaquan is a seven-acre art environment that consists of six major structures, more than 900 feet of painted masonry fence, painted totems, decorative walkways, sculptures, and other art and artifacts in southwest Georgia’s Marion County. Pasaquan is considered among the most important visionary art environments in the United States. Nearly 30 years after the artist’s death—long after the brightly painted masonry had begun to fade literally and figuratively—the Kohler Foundation, the Pasaquan Preservation Society and Columbus State University partnered to bring this extraordinary art environment back to life. In the Land of Pasaquan: The Story of Eddie Owens Martin originated from the LaGrange Art Museum, and is made available by the courtesy of Columbus State University, Columbus State University Foundation, Inc., Pasaquan in Buena Vista, Georgia, and through a gift by the Kohler Foundation, Inc.